As a part of Skyglow Project, two filmmakers are producing a set of stunning timelapse videos to point out to the problem of light pollution. 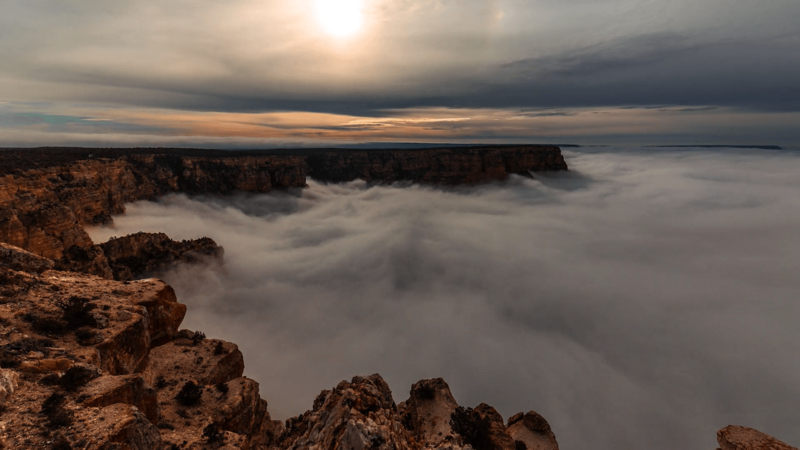 This time, the journey took Gavin Heffernan and Harun Mehmedinović to famous Grand Canyon, Arizona. They managed to capture a phenomenon known as full cloud inversion. And in this timelapse, it looks truly magical. As Harun explains, this phenomenon occurs when cold air is trapped in the canyon by hot air, and combined with moisture and condensation. Although millions of people visit this place each year, not many of them witness the full cloud inversion. But Harun and Gavin managed to capture it in a timelapse that takes your breath away. It looks like a combination of a sea of clouds, dry ice smoke and cotton. To me, the clouds look playful and calm at the same time ( no matter how strange it sounds). And what I like most, the clouds look tangible. The duo shot the timelapse on Canon 5DSR and 5DIII cameras, and lenses sponsored by Canon USA. They also used Alpine Labs’ Michron and Pulse, and Paul C. Buff’s Vagabond Mini. For processing some of the shots, they used LRTimelapse. As I mentioned, this timelapse is a part of the Skyglow project. It draws attention to dangers of light pollution, while showing the contrast with some of the most incredible dark sky areas in North America. If you’d like to know more about the project and support it, head over to Skyglow website. But before that – put your headphones on, turn off the light and enjoy this magical timelapse once again.